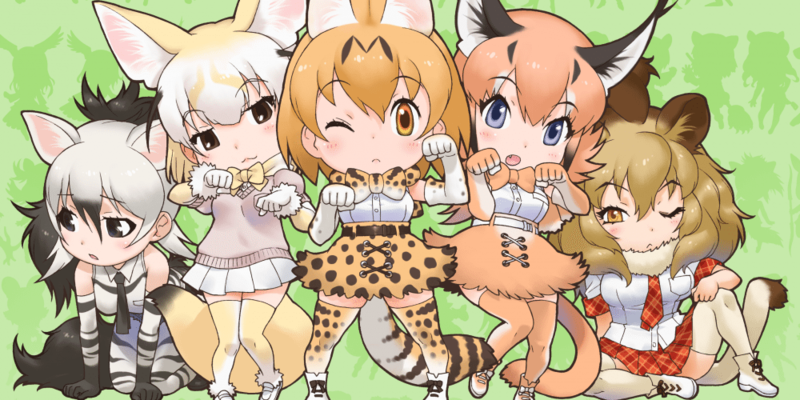 The anime’s story takes place in Japari Park, a “gigantic integrated zoo.” In the zoo, due to the mysterious “sand star” substance, the animals start turning into human-shaped creatures called Animal Girls. Japari Park is a place where many people visit and have fun at, but one day a lost child wanders into the park. The lost child starts a journey to return, but because so many Animal Girls join in on the quest it becomes an unexpected grand adventure.